The people behind Shawm are the same people behind the RIBA National Award winning Shawm House; namely Newcastle based architects MawsonKerr and property developer Richard Pender. They were, and are, served by some of the best tradespeople in the north-east of England. Dan is passionate about architecture of the home and has over 12 years experience in this area and was named RIBA NE project Architect of the Year 2017. He is co founder of MawsonKerr Architects a multi award winning practice with both national and regional awards. Since studying architecture at Newcastle University and has worked at award winning practices that are respected both regionally and nationally. From a foundation of working at Cullinan Studios in London and being an associate at Napper Architects in Newcastle, he uses this experience to design and deliver quality bespoke buildings that work to the clients’ needs. Dan designed and delivered MawsonKerr’s Shawm House in close collaboration with Richard which has received several awards and critical acclaim, including RIBA National Award, RIBA NE sustainably award and was shown on Grand Designs House of the Year. Other residential work includes Western Way, Darras Hall and Reid Park Road, Newcastle which were both aired on Channel 4 ‘Inside Out Homes’ with Zac Monro. Complementing his residential design Dan has experience in a wide range of sectors including several award winning buildings. Dan completed his Passivhaus training in 2010 and has particular interest and experience of low carbon buildings, renewable energy and sustainable construction techniques and can provide a holistic approach to building design and delivery. In addition to his work at Shawm & MawsonKerr he is on the Panel for Design North East and a guest tutor at Newcastle University. Previously he has been on the Advisory Panel for NBS and has been actively involved in the Creative Partnership programme and a member of the Expert Panel at Northern Architecture. Outside architecture and design he enjoys getting out on the road bike around Northumberland and beyond, playing football, hiking and spending time with family and friends. Will developed a passion for architecture at an early age and has gone on to become a strong member of the architectural community regionally and nationally. Having formed a close relationship with Dan at Newcastle University MawsonKerr was founded in 2010 and has gone on to win numerous region and national accolades. The first major project Will delivered at MawsonKerr was the transformation of the derelict Friar House into a bespoke boutique hotel which went on the win the RIBA NorthEast Conservation project among various awards. Will has experience in various high profile and complex projects such as the Theatre Royal redevelopment and is currently project lead on Newcastle’s iconic Bigg Market project. Sustainability and an environmental agenda are very important to Will along with projects that matter, none has been bigger for Will than the realisation of his thesis project in Sunbeams Music Centre located on the edge of the Lake District which gained the practice Structural Timber Awards Architects of the Year. Will revels in the construction process and seeing a concept through to completion. He has particular interest in the tactile qualities of architecture and the importance of detail. He invests a great deal of time in developing architectural communication techniques and advocates that strong graphical communication is imperative in delivery of good architecture. In addition to his work in practice he believes in giving something back. As well as working with a number of schools, teaching the design process to younger aspiring architects, He tutors at Northumbria University at Bachelor and Masters level and has active involvement with the RIBA. Will is the North East RIBA Small Practice Representative and sits on the national councils Small Practice Group, He has been invited speaker at the influential Guerrilla Tactics conference. Outside of the architectural sphere Will enjoys partaking in a large amount of sports; a keen cyclist, golfer, runner and any other sport time generally doesn’t allow. 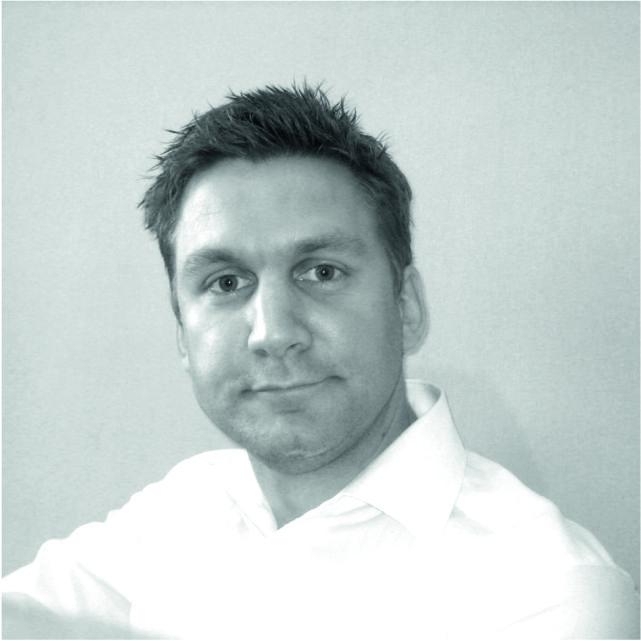 Richard is a property developer with a real passion for sustainable design, technology and architecture. Intimately involved in every step of the process, from conception, planning and design, through to project management and physical construction, Richard was responsible for the recent delivery of the multi-award winning eponymous Shawm House. Adding to a grounding in conventional property renovation projects Richard has demonstrated an advanced understanding of low-carbon building methodologies and the ability to manage complex build processes. That from humble origins Shawm House went on to win a national RIBA award is testament to Richard’s determination, exacting standards, and the strength of his relationships with both MawsonKerr and key tradespeople. Richard Pender is a far from conventional property developer however. He holds a first class Masters degree in Psychology from Northumbria University and is currently completing his second Masters in Renewable Energy, Enterprise and Management at Newcastle University. The latter is focussed on energy storage at the domestic level, but it is arguably the former that equips Richard best to manage construction teams. All too aware of the psychological power of incentives Richard believes that too many construction projects are contracted for failure and believes that the aligning of incentives across projects has the ability to much improve outcomes. Graduating from Sheffield University in History and Politics, Richard initially worked in public affairs in and around Westminster working on a number of environmental and sustainability issues and campaigns including co-ordinating at one time the All Party Climate Change Group (APCCG) under Colin Challen MP. From a design perspective Richard has a love of paired back design that celebrates materiality, detailing and workmanship. He is a keen sportsman and currently training for his third marathon effort. Recently he’s rediscovered his childhood love of fly fishing though it would appear his additional years have not improved any his ability to catch fish!